The assessment consists of TWO (2) components (Component A: Individual written assignment & Component B: Individual oral presentation). The assessment will be evaluated based on accurate explanations which fulfilled the requirements of the questions and supported by credible points. You are required to undertake some degree of research through scholarly articles and other materials available to support your analysis and evaluation. References in Harvard style must be included and taken from reliable sources such as books, journals and articles. Plagiarism, copying and cheating will NOT be awarded any mark, and disciplinary actions will be taken instead. The written assignment should be bound form and accompanied by a completed assignment cover sheet. Follow AVID COLLEGE’S format for cover page (obtainable from reception). Written assignment should be prepared using a word-processing package with font size 12, font (Times New Roman/ Arial), 1.5 line spacing and page numbering. All assignments should be bound. Completed written assignment with the assignment submission form attached, must be put into the assignment drop box, before the deadline and emailed to the Faculty Dean before 09:30pm of the due date. 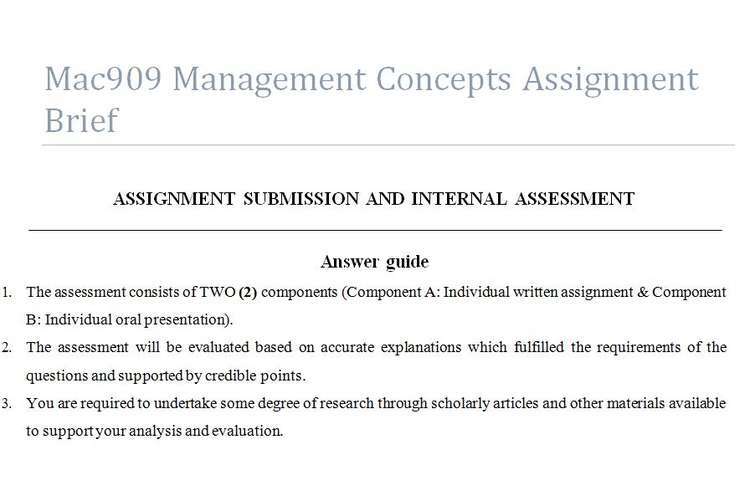 Soft copy and hard copy of the written assignment is a MUST. Assignments WILL NOT be marked if it is not emailed to the Faculty. To submit a soft copy of your assignment and oral presentation (PPT file), send through email to dean.fm@avidcollege.edu.mv before the due date. If an extension on assignment is granted, the approved extension form together with supporting documents should be submitted along with the assignment. This assignment is designed to develop and enhance learner’s ability to apply the subject content of Management Concepts for a business venture in a local Maldivian context.